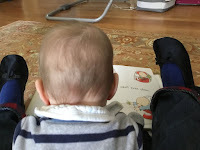 Day 20's Reading for Research Month post on the importance of writing with economy was particularly interesting coming right after Day 19's on longer picture books. "...each word and sentence contains essential ingredients that, taken together, elicit a particular and specific response in the reader," editorial director Mary Lee Donovan writes. Another day when I read only one of the mentor texts. 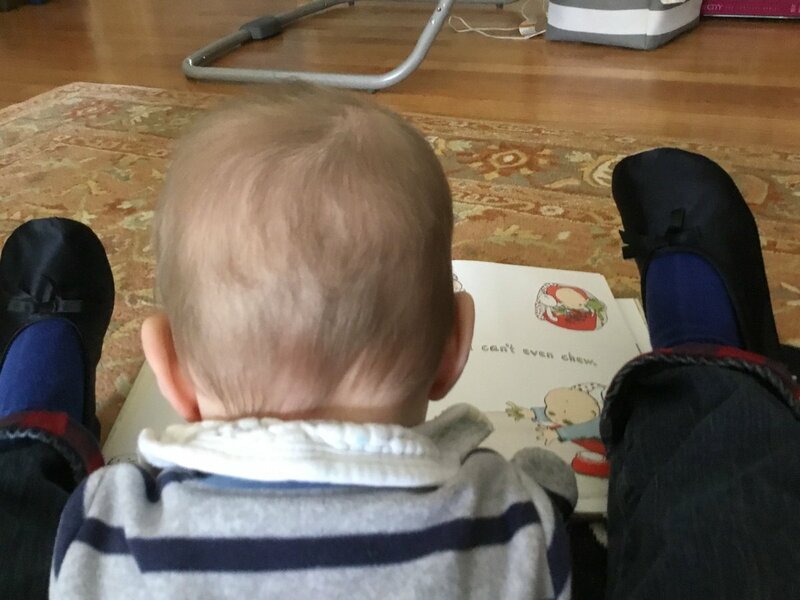 by Lauren Tobia is adorable and a neat read. 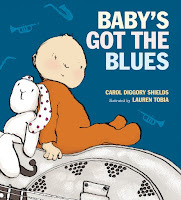 The basic premise, a baby creating a blues song, is clever. I think the use of a repetitive pattern is one of the ways the author makes each word and sentence contain essential ingredients and elicit a specific response. 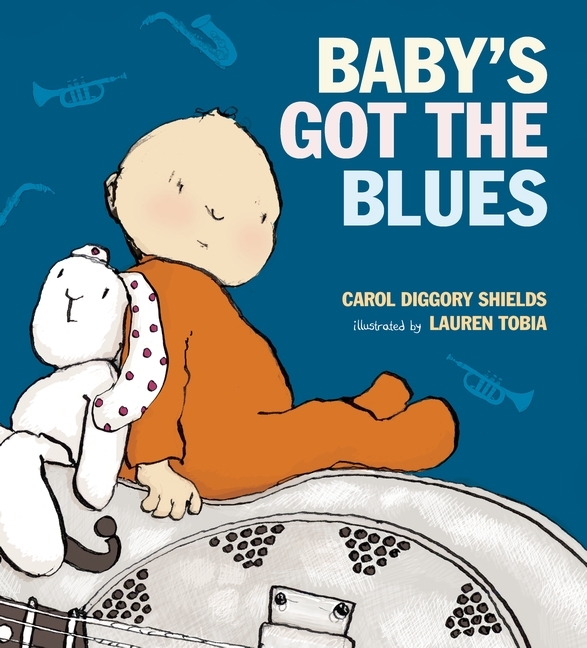 As you can see from the picture to your left, I read Baby's Got the Blues with an actual baby. To him, to be accurate. Can I use this material with my own picture book manuscript? I hope so. I'm a big believer in everything in a book having a particular function, no matter what type it is.